Some people favor winter, others summer. 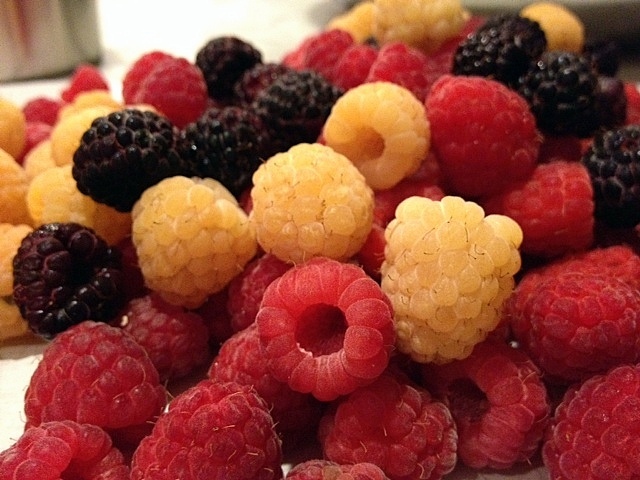 My favorite time of year is raspberry season which occurs twice in the northeast -- right now, and in the fall. The DH and I were lucky enough to spend July 4th with friends in Beacon, New York, and equally lucky to visit nearby Fishkill Farms where we picked cherries, blueberries and red, black and white raspberries. 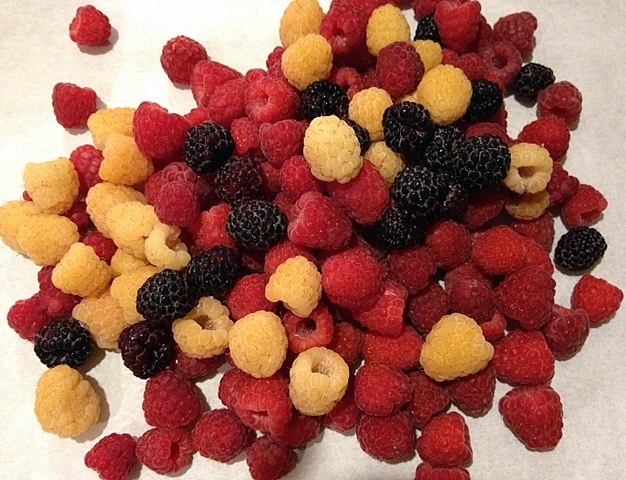 This was my first encounter with white raspberries; they are not as sweet as the red or black (and much whiter in real life than they appear in the photo). 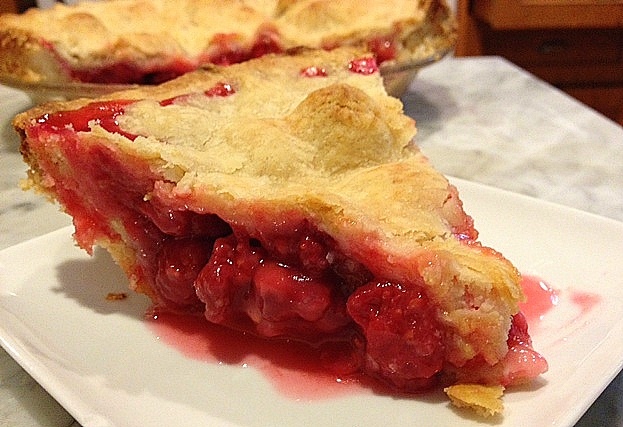 Anyone who has succumbed to the zen of berry picking knows that it's very easy to pick more than one can possibly eat and since raspberries begin to decompose the moment they're picked, there was but one thing to do: make a fresh raspberry pie. 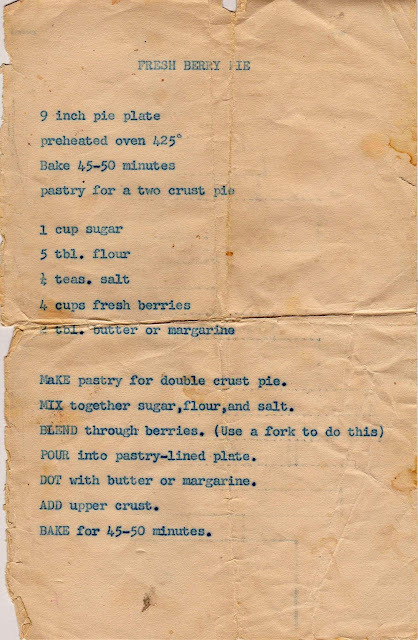 I quickly put together a pie crust (recipe below) and, following a vintage berry pie recipe, prepared the pie. It's really, really easy. 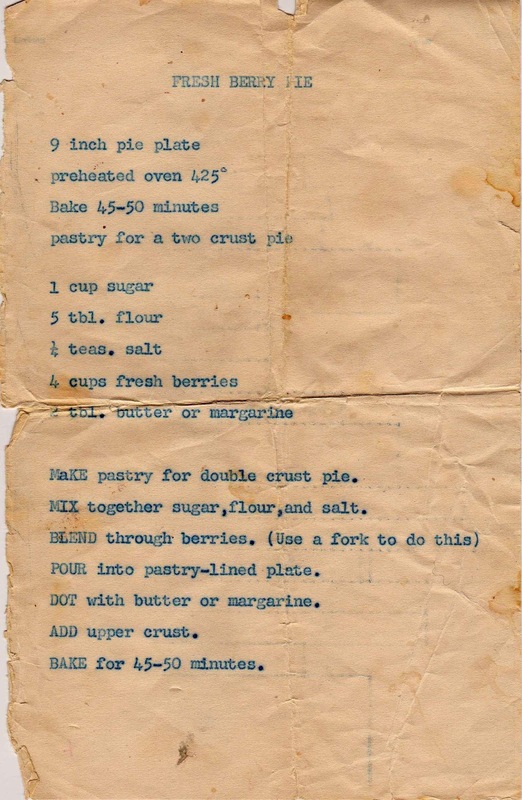 Just roll out the bottom crust, gently fold the berries into some flour, sugar and salt, and pour into the shell. Dot with a generous amount of butter. Roll out the top crust and you're good to go. 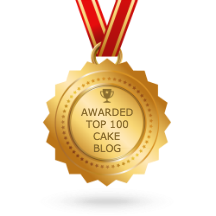 It's difficult to know how much thickener (flour, cornstarch or tapioca) to add to absorb the liquid from the berries without turning the filling into a gloppy gelatin substance. I followed the recipe exactly (and even cheated by adding a bit of small pearl tapioca to the bottom of the pie) but still too much liquid was released. Not a huge problem, and I didn't hear any complaints. 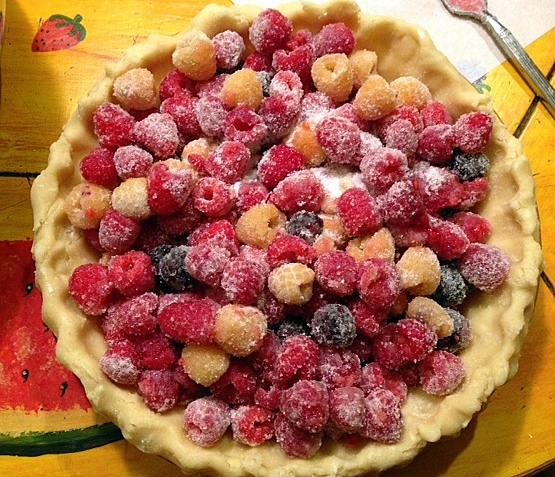 Some production notes: I added more raspberries than called for, because I had them, and dotted with about three tablespoons of unsalted butter (not two). Place flour, sugar and salt in a food processor and mix until combined. Add the butter and shortening and mix until the size of small peas, or smaller. Add ice water, one or two tablespoons at a time until the dough holds together. Check this by removing the top and pressing the dough between your fingers. 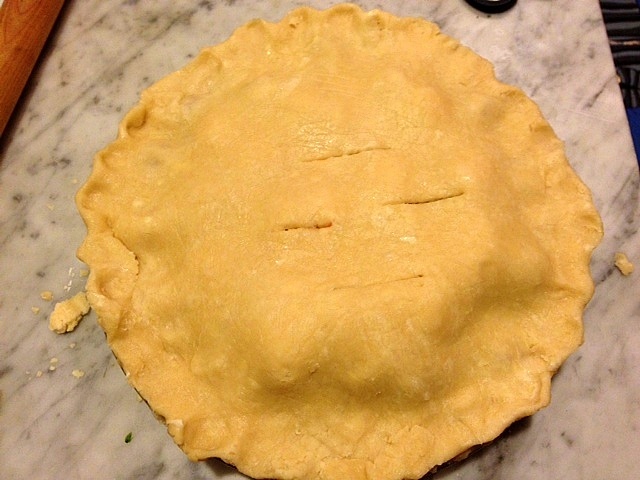 Divide in two pieces and refrigerate until firm. Roll out to line and top pie pan. This looks so good. 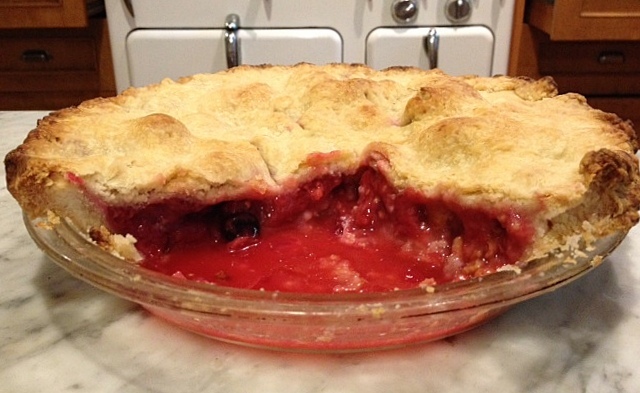 And I envy your pie crust making abilities! 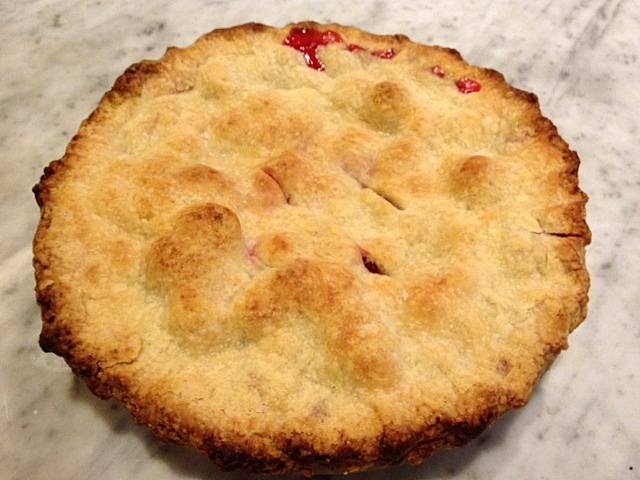 I highly recommend a lattice top crust for super juicy fruit pies. The open spaces allow a lot of evaporation to take place and there is significantly less goop. Looks like I need to get my hands on some raspberries.